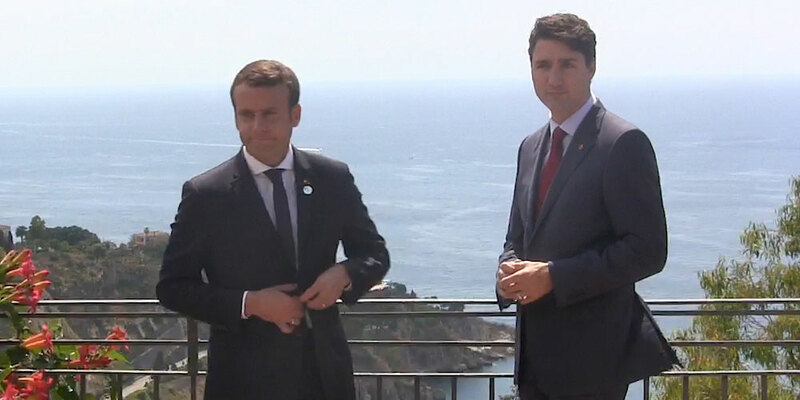 The internet has gone gaga for recent pics of Canadian Prime Minister Justin Trudeau’s meeting with newly elected French President Emmanuel Macron taking a picturesque stroll together outdoors on the Italian island of Sicily during the G7 summit — a meeting between Canada, France, Germany, Italy, Japan, the United Kingdom and the United States who represent more than 64% of the net global wealth. It’s no wonder that social media users have been swooning over the two men: Even we recently asked which one was more handsome. So let’s take a second and enjoy the two men on their platonic man-date. But let’s also get real for a second. 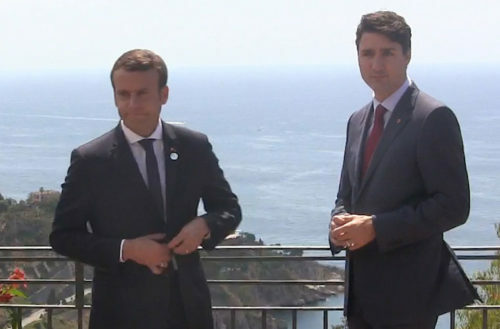 Both men may be handsome, but they’re also leaders of intensely powerful countries and we can’t let their beauty blind us to legitimate criticisms of their policies. So while we bask in the warmth of their bromance, let’s also take a quick look at where they stumble. A February 2017 poll put Trudeau’s approval rating at around 48 percent, possibly because of his controversial support of expanding an oil pipeline that impedes into the lands of Canada’s indigenous First Nation citizens and his decision to provide military vehicles to Saudi Arabia. (Canada is the world’s second-largest arms dealer to the Middle East). Trudeau has also been criticized for dragging his feet on marijuana legalization and breaking a campaign promise to reform Canada’s electoral system. While Macron has not been his country’s leader for nearly as long as Trudeau, he put forth come controversial policies during his election campaign including one to restore compulsory military service for French youth, requiring them to serve in the armed forces for one month between ages 18 and 21. He also supported national laws allowing “flexibility on overtime,” a vague proposition which could potentially weaken French laws allowing only a 35-hour work week. We can swoon over these men all we want, but let’s remember what makes a truly attractive world leader: progressive politics that help establish dismantle institutional discrimination, violence and inequality for all.